The SL 2 now features a base unit — available with manual or wireless remote control — with modular pad options. The standard 24 by 24 in. (61 by 61 cm) pad is still available, along with a 12 by 36 in. (30.5 by 91 cm) pad for handling more narrow trench cuts, as well as other sizes upon request. 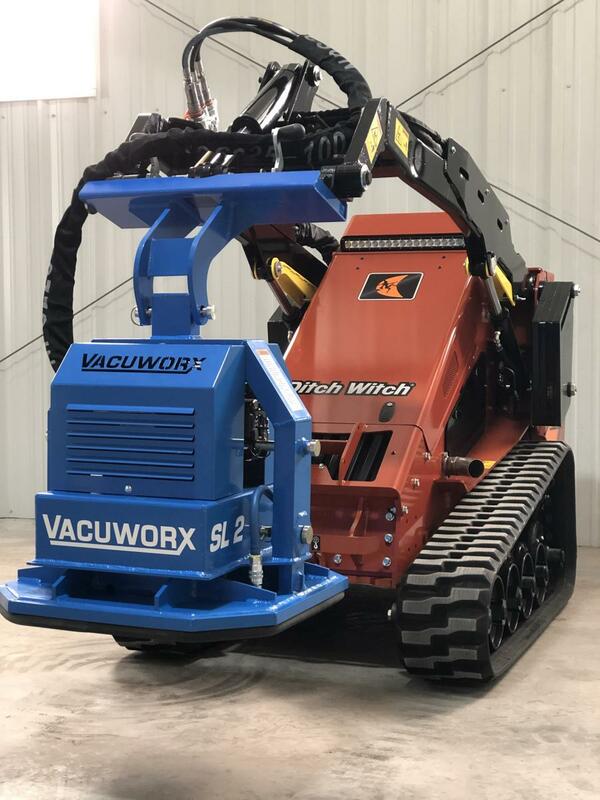 Vacuworx has introduced the next generation of its SL 2 subcompact vacuum lifting system. Originally launched in 2016, the SL 2 was the first compact equipment attachment in the company's growing lineup of products for the concrete construction industry. The vacuum lifter has revolutionized the way saw cut concrete can be handled on job sites, saving man hours, promoting safety and reducing debris, according to the manufacturer. Now, the lightweight system has been updated with an improved hydraulic system and modular pads to work with more machines and for more applications. What hasn't changed is the design that delivers a lifting capacity up to 2,700 lb. (1,224.7 kg) and features quick-connect hydraulic hoses and a factory pre-set flow control valve to ensure optimal performance. There are two mounting assembly options depending on the host machine: mini/walk-behind subcompact equipment or standard skid steer-type machines. The SL 2 also is compatible with small excavators, backhoes and cranes using the clevis hook connection.